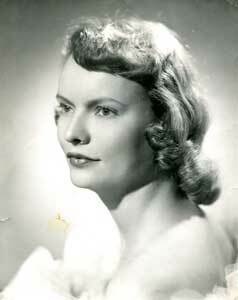 AIKEN, S.C. – Mrs. Jewell Pettigrew Burckhalter, 80, passed away December 10, 2013. Funeral services will be held on Friday, December 13th at 12:30 pm at St. John’s United Methodist Church with the Rev. Dr. George K. Howle and the Rev. Ray Litts officiating. The Family will receive guests following the service in Ward Hall at St. John’s. A private family burial will be held preceding the service in historic Bethany Cemetery. Honorary pallbearers will be the St. John’s United Methodist Church Fellowship Sunday School Class. Born in Edgefield, SC to the late Samuel Grady and Lucille Reel Pettigrew, Jewell worked as a teacher for 32 years for the Aiken County School District, primarily teaching at Pinecrest Elementary and Aiken Elementary. She was a graduate of Columbia College and a member of St. John’s United Methodist Church of Aiken. Jewell was involved in two lunch clubs and thoroughly enjoyed getting together with her friends for these lunches. She was a long time member of the Cotillion Club of Aiken and more recently the Les Amis Club. She was a 40-year member of the Tuesday Night Supper Club at The Outing Club. She was a volunteer for many years at Aiken Regional as a member of the Ladies Auxiliary. Jewell loved her husband, children, and grandchildren and was very much loved by everyone. She is survived by her loving husband, Walter Marsh Burckhalter “Walt”; daughter, Julie Burckhalter Cranford (Jim); son, W. Marsh Burckhalter, Jr. (Lisa); four grandchildren, Courtney Marsh Cranford, Meredith Helen Cranford, Lucille Lorick Burckhalter, W. Marsh Burckhalter, III; and a sister, Margaret Pettigrew Robertson (Ted). She is also survived by two loving sisters-in-law that she very much loved, LeClair Anderson Burckhalter and Carolyn Way Pettigrew; numerous nieces, nephews, cousins and dear friends that have been very supportive. In addition to her parents, Jewell was predeceased by her brother, John Wallace Pettigrew. Jewell and her family are very appreciate of all the excellent care and kindness they received throughout her illness from Augusta Oncology, Aiken Regional, Walton Rehab, GRU and UniHealth of Aiken. In lieu of flowers memorials in Jewell’s name may be directed to St. John’s United Methodist Church, 104 Newberry St., NW, Aiken, SC 29801 or The Lydia House, 1369 Interstate Parkway, Augusta, GA 30909.